Peak Transfer provide reliable airport and in resort transfers from Geneva to Megeve, get a quote and book online today. You can check out our Megeve Winter and Summer Guide in the Peak Transfer Blog. Megève has skiing, golf, snow polo, Audrey Hepburn, the Rothschilds… could this be Europe’s most chic ski resort?! Megève was put on the map by the wealthy Rothschild family in the 1920’s when they tired of St Moritz in Switzerland, so they bought up a small French town and developed it into Europe’s most fashionable ski resort – as you do. By the 1950’s it was synonymous with the high life and had even featured in an Audrey Hepburn movie, Charade. Despite the glitz and glamour, Megève remains a traditional French village surrounded by working farms and Alpine pastures where local cheese, meat, wine and other regional specialities can be bought at the market. 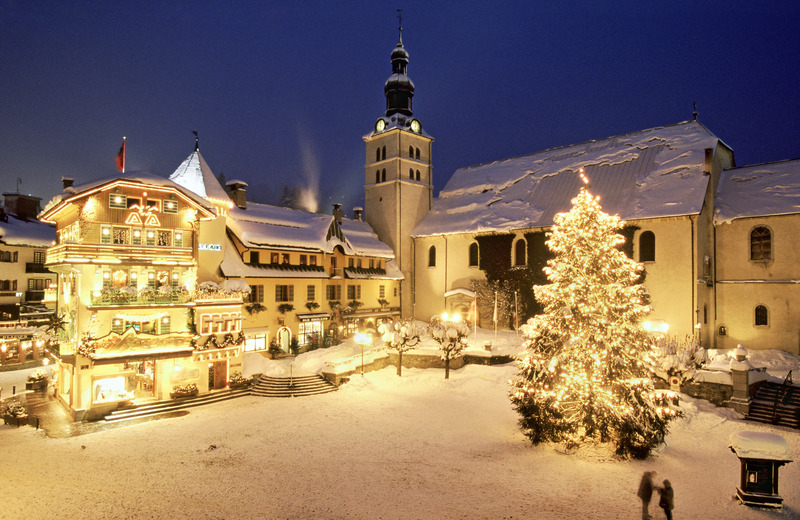 Its charming medieval streets, pretty chalets, old barns, horse-drawn sleighs and stunning views make Megève an enchanting place to spend your winter or summer holiday. The French have perfected the art of a long lunch and the cobbled streets are lined with cafés and patisseries where you can easily lose track of time. Megève is the perfect place to try local Savoyard dishes or some gourmet French cuisine as the resort boasts over 90 restaurants, 8 of which have Michelin stars. 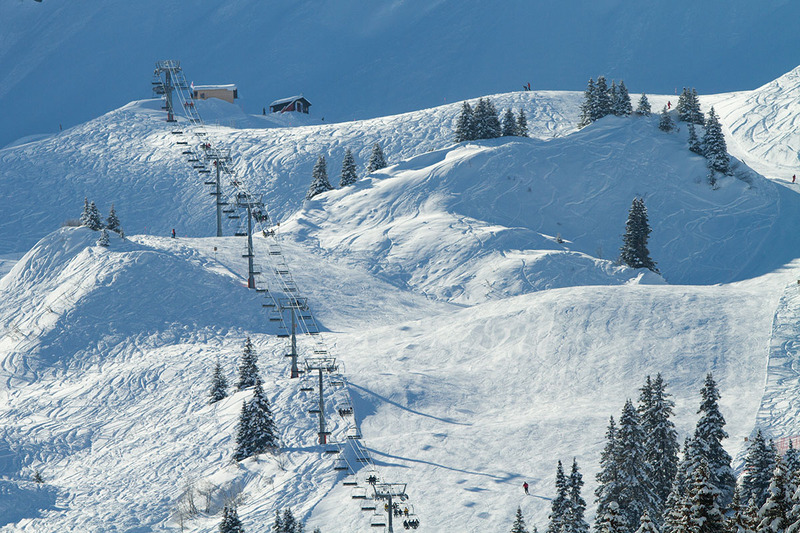 The fantastic skiing and snowboarding terrain is what draws people to Megève though, 4 distinct areas to suit all abilities; Jaillet, Cote 2000, Mont d’Arbois and Rochebrune. Jaillet is the quietest sector and is perfect for beginners and families, Cote 2000 attracts the speed demons with its World Cup downhill run, Mont d’Arbois is the biggest and highest region making it a good choice for exploring further afield (it also links to the neighbouring resort of Saint Gervais), while pretty Rochebrune is popular for its sheltered tree-lined pistes. Rochebrune is also the home of the Waidzai Snow Park; a 500m freestyle area for skiers and snowboarders with 10 modules including whoops, pyramids, banked turns, hips, jumps and a boarder cross. The features are sized and spaced so that novice freestylers can practice at their own pace, while pros and park rats can go big if they want to. The Megève ski area offers plenty of off-piste terrain to be explored and fresh powder to be tracked, much of it is easily accessible and often remains untouched long after a big snowfall. Rochebrune has nice tree runs that cut in between the pistes, whereas Cote 2000 is the place to go if you like it steep and deep. The gentle pastures of Megève lend themselves well to cross-country or “Nordic” skiing with a wide range of trails for beginners, intermediates and experts. Megève is also part of the Evasion Mont Blanc ski area, which includes 445km of pistes across 6 resorts in the Savoie region – Les Contamines, Saint Gervais, Megève, St Nicolas de Véroce, Combloux and La Giettaz. Apres-ski in Megève can be as sophisticated or as casual as you feel like; you’ll find everything here from gourmet restaurants, to cocktail bars, to piste-side pubs. Log fires and mulled wine if you are in need of relaxation, or live music and jugs of beer if you’re in the mood for a party! Annual events include the Megève Polo Masters international tournament and the Snow Golf Cup, played with bright pink golf balls so that they stand out against the snow. 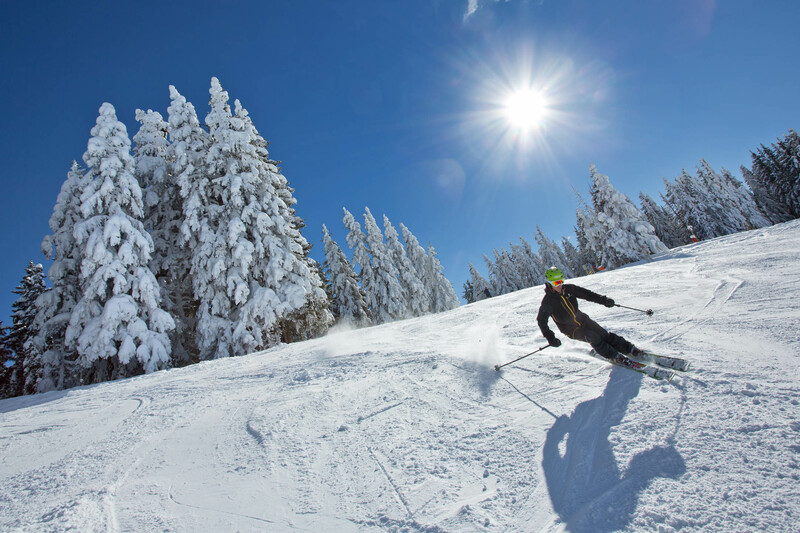 Megève is one of the easier ski resorts to get to, airport transfers from Chambery airport in France and Geneva airport in Switzerland are around an hour.